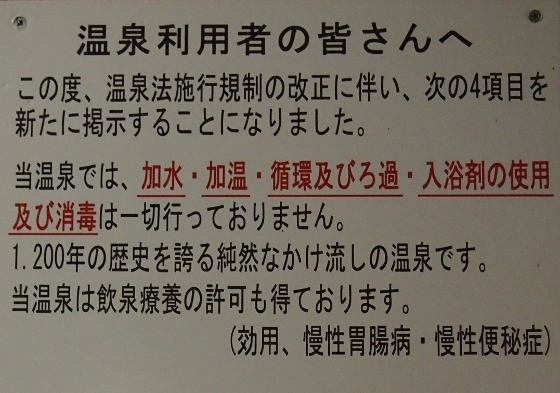 Today, I took a train from Koriyama City Fukushima Pref. 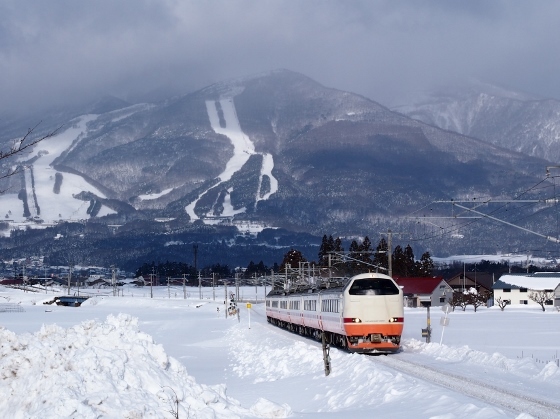 to Aizu Region all of which was covered by deep snow. 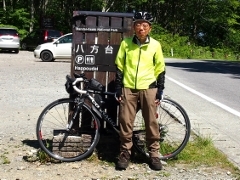 The route was JR Ban-etsu West Line from Koriyama to Aizuwakamatsu, and JR Tadami Line from Aizuwakamatsu to Hayato Onsen at Mishima Town. 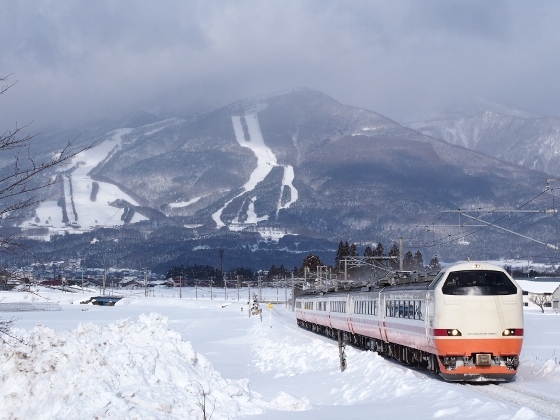 The view from Ban etsu West Line changed to snow scene after passing through Bandai-Atami of Koriyama City when the train started to climb up the mountain. 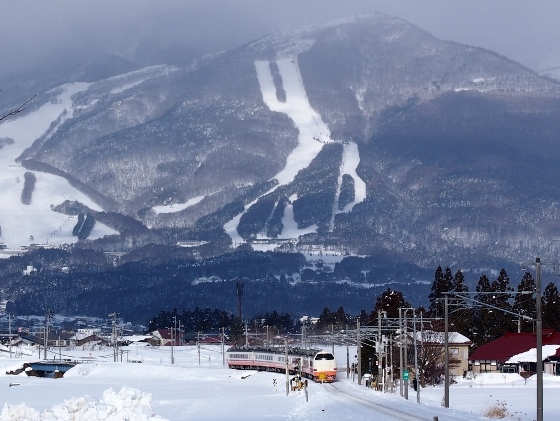 And after passing the pass and entering Aizu Region the view was completely snow white. Some views are shown below. 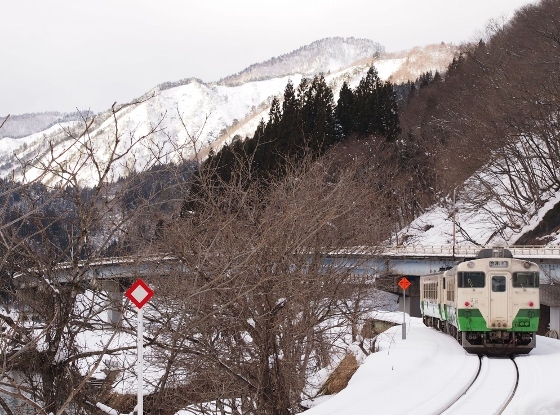 A rapid train "Aizu-Liner 2" bound for Koriyama was seen near Kawageta Station of Inawashiro Town. 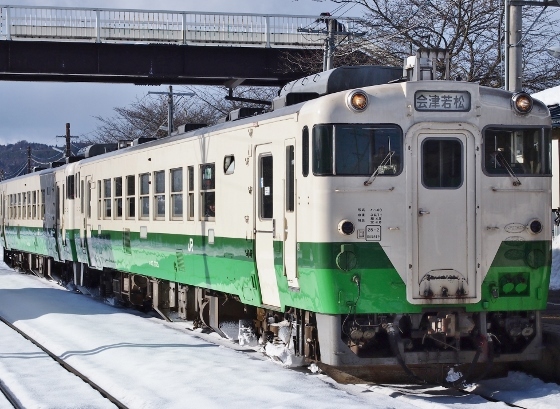 A local train bound for Koriyama was seen at the next Inawashiro Station. 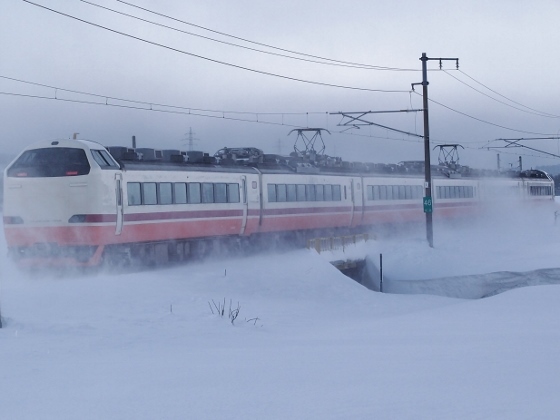 A rapid train "Aizu-Liner 1" bound for Aizuwakamatsu was seen near Inawashiro Station with snow smoke. 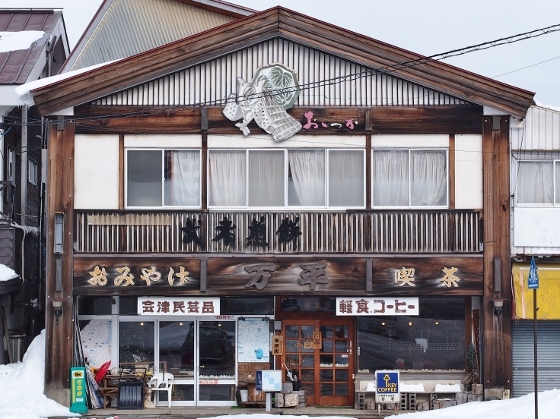 Cafe and soba restaurant in front of Inawashiro Station was shown in the picture above. 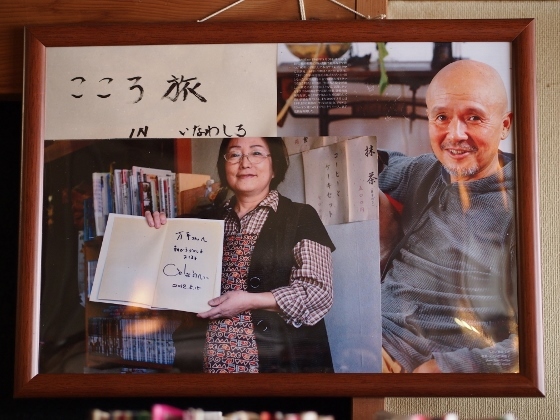 I found a photo with Mr. Shohei Hino inside who had stopped at the cafe during bike tour and who was a main actor at a regular program of NHK. 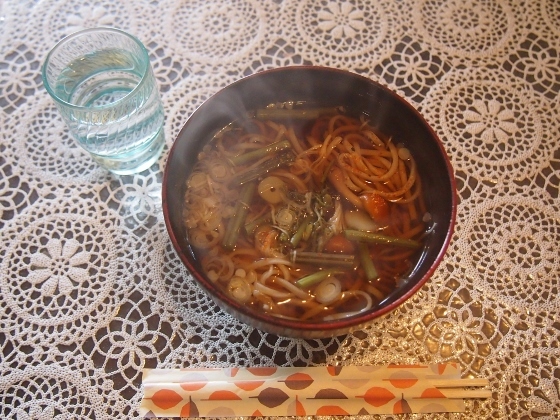 They served me a delicious Sansai Soba. 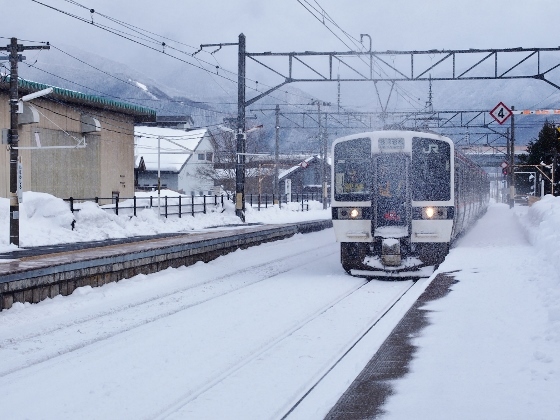 A local train arrived at Inawashiro Station in the falling snow. 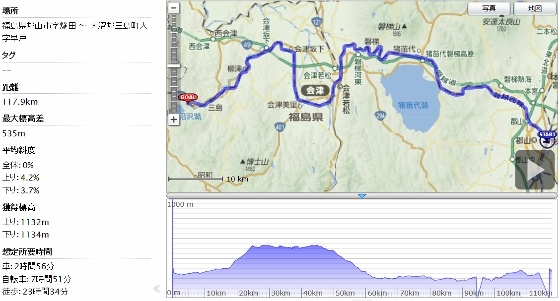 Next, some views on Tadami Line from Aizuwakamatsu to Hayato Station at Mishima Town are shown below. 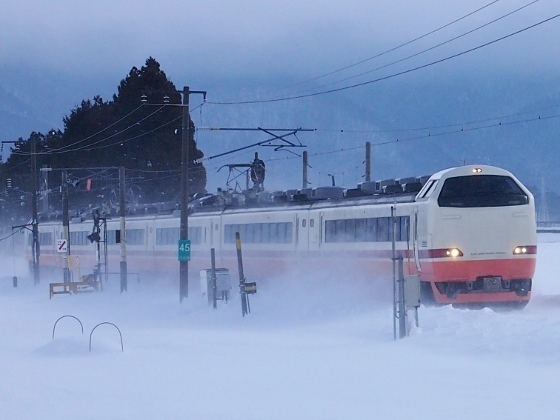 A local train bound for Aizuwakamatsu was seen at Aizubange Station. 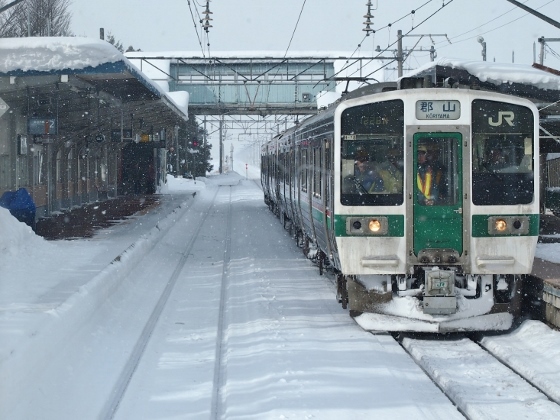 Above picture shows the train leaving Hayato Station. 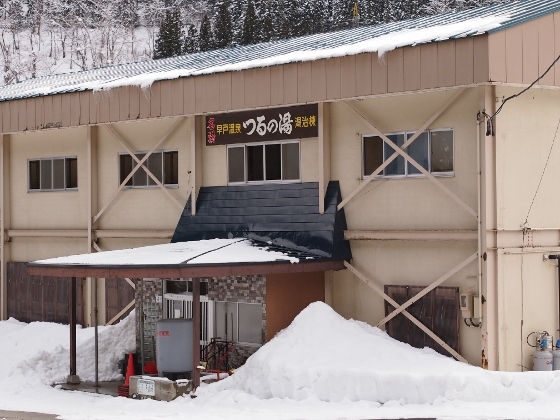 Above pictures show views at Hayato Station. 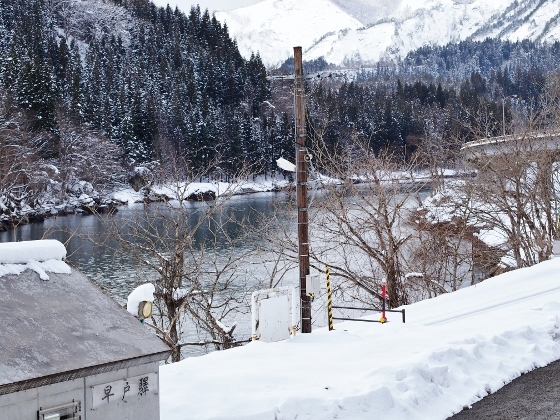 Tadami River flowed just beneath the station. 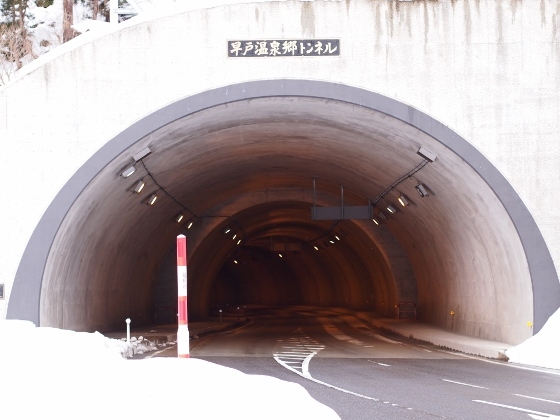 About ten minutes' walk through the tunnel shown above from Hayato Station took me to Tsurunoyu of Hayato Onsen. The picture above shows the entrance of the Tsurunoyu. I could stay here without meals. The picture above shows the lodge. 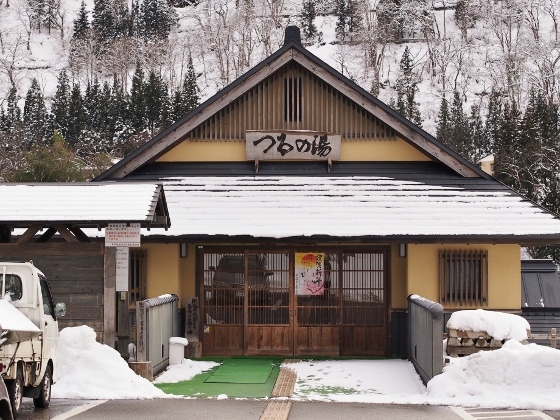 They also had soba cafe which served best local chicken soba. 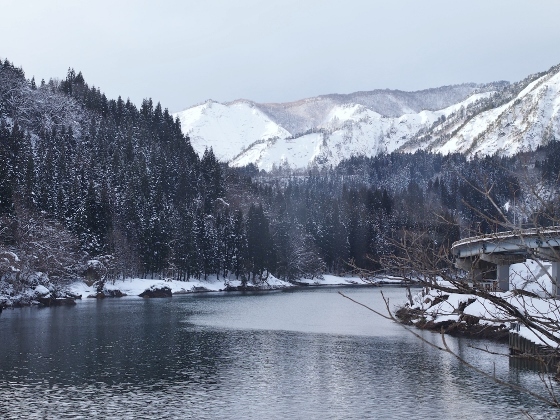 I could see a fine winter view of Tadami River. 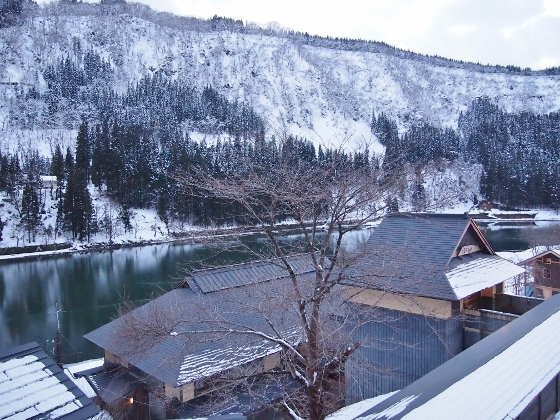 The source of the hot spring here was sodium chloride spring of 52.9 degrees Celsius. The spring source was flowing to the bath just as it was, thus I could recommend the best quality of the bath.